Stone House is just a 2-3 minute walk away from Kurabiye Hotel and is 50 meters away from the Dutlu Kahve square which is considered the most beautiful location of Alaçatı by many travellers. 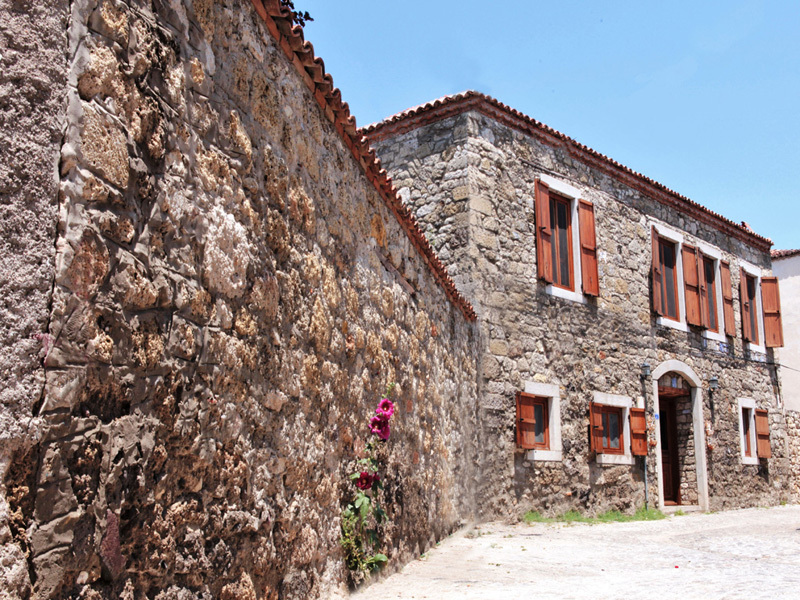 It is a 200-year-old original Greek stone house and is one of the most special houses in town. It is 150 sq. meters with a 100 m² garden surrounded by lemon and olive trees. The garden also has a built-in barbeque and a small bar area. The ground floor has a living room, kitchen, dining area and a guest toilet and the second floor has one large bedroom with a king size bed and bathroom and another bedroom with two single beds and a stone fireplace.